Authored by rooty on Feb 14 2019, 8:28 PM. This patch adds new icons for the action buttons modified/added in D18893, and gives the suspend hibernate and switch user icons a makeover. +1 on that "List Users" icon! Very nice. For the "Type User" icon, I wonder how much we really need that background circle. 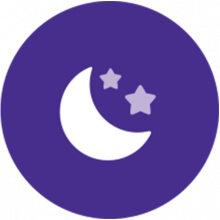 Especially if we wind up improving the suspend icon to have a moon and stars or some other kind of sleepytime iconography, then it would be nice to have icons without circles on both sides, so it's kinda symmetrical. The I beam thing without the circle is kinda weird to me, but it actually looks fine with the circle around it. 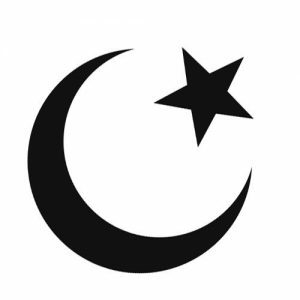 What about putting a circle around the crescent/stars that are going to make up the new suspend icon? Would an icon like this work? Just trying to get to a good final icon for typing your user. Give it a shot. As for Kai, Kai is Kai... hehe. 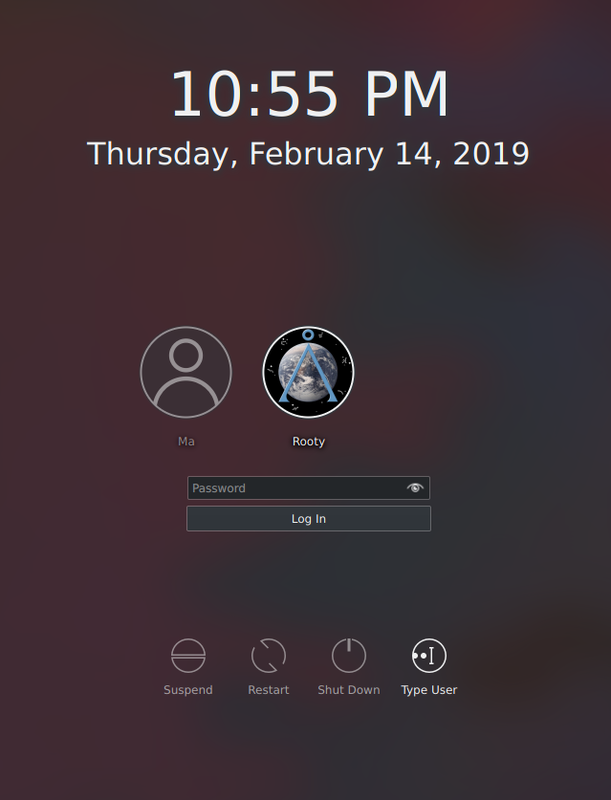 The only problem here that is that the label says "Type User" but the icon depicts a password field. Maybe the icon could depict both a username field and a password field, one on top of the other. Then I bet it would be tall enough that we wouldn't feel the need to put it inside a circle. 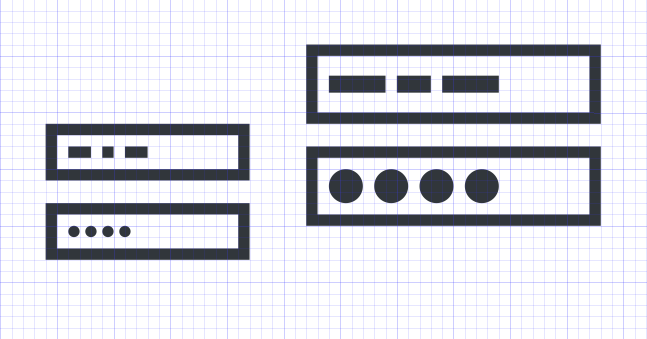 Is the objective that the user sees the icon first and then understands what is to be done? If that's the case, the idea of image correctness would be relevant. If however, you want to only convey an idea of typing, then I would say this is enough. Which of the two assumptions is the one we are going for? P.s. 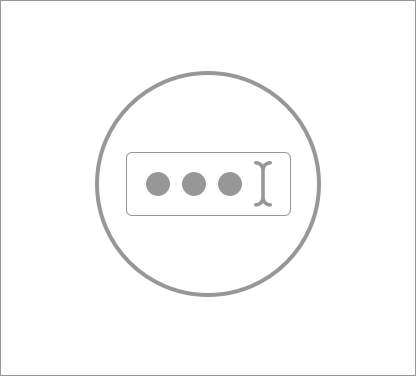 are you sure about the I beam and the dots inside a password field? What's the air conditioning do? 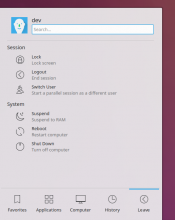 suspend to disk? +1 on the List Users icon. Perfect. For the Type User icon, I'm not sure it needs to be in a circle. 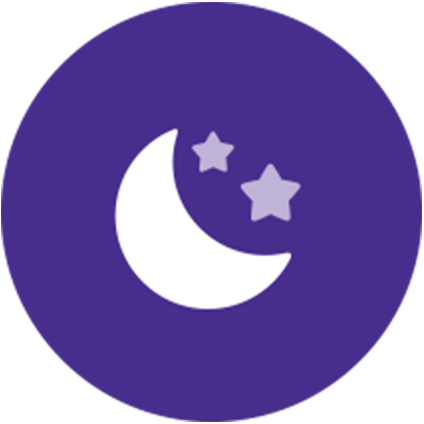 With the new moon-style suspend icon on the left side, it might be better to have a non-round icon on the right side to balance it out. 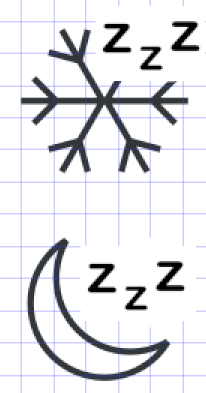 Likewise, I don't think the new Hibernate symbol works on its own. Alone, it's just a snowflake, which to me means "snow" or "cooling" or "winter weather". 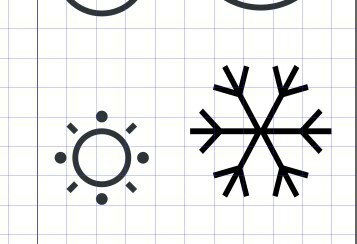 I think both of these symbols would benefit from having three Zs in the top-right corner like we discussed earlier. That would tie them both together conceptually as well as reinforce the concept that they're both modes of sleep. But you're okay with the snowflake? This comment was removed by rooty. 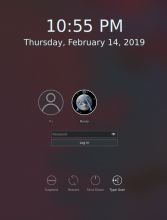 I think the "Type User" Icon would look better if the bars acting as placeholder text were a bit less regular in width and would not be shorter than they are tall (which is the case for the rightmost rectangle). Also, can the usernames in the type user field contain spaces? If not, it might not be fitting to use multiple split rectangles to represent the username, as these gaps represent spaces. But what do you mean by less regular in width? As they are now it's long, short, long (exact same length as rectangle number 1), shorter than height (which looks bad imo). There are no medium lengths and the same length is used twice. I would suggest giving every bar a different length. If you're going to remove the spaces, this won't be an issue, but I would not remove the spaces until we are certain that spaces are not allowed in the real thing. Well, maybe it is time to call it and be done. I don't think we are going to please everyone right now. Maybe our best option is to have you, as the proponent of this idea, make the decision after long debate. That last little square in the username bothers me. I think the current revision is quite nice. 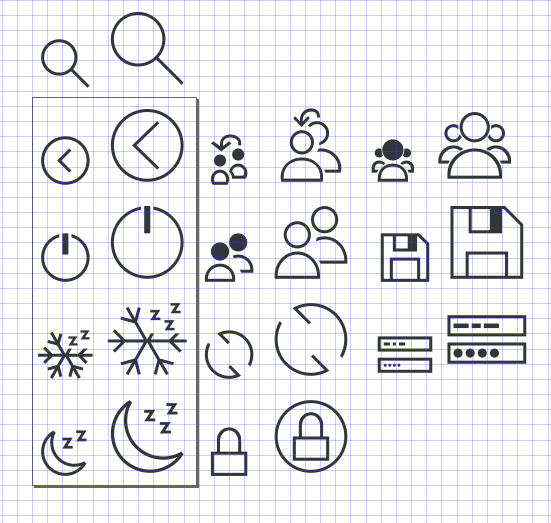 We could always pick apart details and other potential solutions, but the icons get the point across and look good. Can we make the small version of the switch user icon have a body that's not filled in with Shade Black? 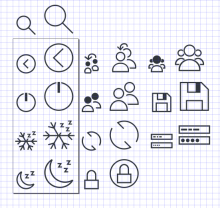 That way it will match the small versions of all the icons user-style icons, all of which have outline bodies and black heads. The new switch user also doesn't seem to handle being scaled down very well. Can we make it a tiny bit bigger if it's not already at the edge of its margins? Actually those concerns should be in the icon theme patch, never mind. I'm good with this now! Thoughts, other VDG people? Shall we land this? I love it. Looks perfect to me now.